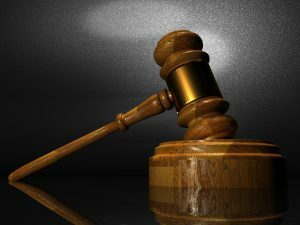 On March 24, 2019, a Columbus Jury awarded $27 million to the mother of a woman killed in an accident that occurred in January of 2017. The jury’s award consisted of $22 million in compensatory damages and $5 million for the woman’s pain and suffering. 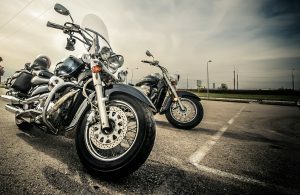 The case illustrates the increased dangers for the victims of truck or motorcycle accidents, even under routine circumstances. It may come as no surprise that car accidents result in the overwhelming majority of personal injury lawsuits filed in the United States. According to a new study just released by the New England Journal of Medicine, researchers have found that unintentional injury is the primary cause of death for children and teens. Among those injuries, the number one cause of death is car accidents, accounting for 20% of the more than 20,000 deaths suffered by children in 2016. The good news is that death rates from car accidents have seen dramatic declines in recent years due to improvements in vehicle safety. We know that losing a child in a car accident is an unfathomable tragedy. If you’re in this situation and wondering what to do next, we’re writing this post to help you understand your options. It is a fact of life that accidents happen every day – at our jobs, on the roadways, and even when we’re on vacation. Thankfully, most of these accidents result in only minor injuries that require minimal medical attention. While we know that some accidents can result in very serious injuries, we don’t like to think about the fact the worst accidents can tragically result in death. If the accident was due to someone else’s negligence, we refer to these as “wrongful death” claims. In addition to being very serious, these cases are more complicated than your typical accident case. We hope to shed some light on this topic in this post. A settlement has been reached in the case of a teenager who was killed in a hayride accident in October of 2014. 17-year-old Cassidy Charrette died from head injuries when a mechanical problem caused a Jeep towing a wagon full of passengers to careen down a steep hill, flip over, and slam into a tree during a Halloween-themed hayride in Augusta, Maine. 20 other riders were also seriously injured and sent to the hospital after the accident. The hay wagon was being pulled by a 1979 Jeep when it crashed, according to the Augusta fire Marshall’s office. The driver, whom officials say was an experienced trucker who had a commercial driver’s license, was among those who were injured.The accident occurred at Harvest Hills Farm, a sprawling farm that is set on a forested hill about 25 miles southwest of Augusta. The owners had been hosting the haunted hayride for several years. An ensuing criminal investigation found that that the farm had acted with criminal negligence in failing to maintain the Jeep at issue, and pleaded guilty to a charge of driving to endanger, a felony, in exchange for the dismissal of a manslaughter charge. A grand jury declined to indict Peter Bolduc, the owner of the farm, who has said he was unaware of the safety problems with the Jeep. The Jeep’s driver was acquitted of criminal charges, and charges were dropped against the farm’s mechanic last month. Although Bolduc was unaware of the Jeep’s condition, that did not absolve him of responsibility. Assistant District Attorney Andrew Matulis cited numerous problems with the Jeep that was hauling the wagon, including that the load was too heavy, the brakes were faulty, the parking brake was broken, and that there was an improper trailer hitch. The farm subsequently filed for bankruptcy and was sold at auction in the summer of 2015. Schoolyard bullying has always been a part of growing up, and, until very recently, bullying was an issue that was mainly handled between the bully and the victim and their parents. However, in recent years, schools have taken a much more active role in preventing bullying amid a tragic wave of child and teen suicides that many see as a result of extreme, long-term bullying. This institutional concern about the effects of bullying has even made its way into the highest echelons of political life in the United States, as First Lady Melania Trump stated that her primary goal for her office would be to combat cyber bullying. There has also been a wave of parents seeking liability against their children’s schools for the harmful effects of bullying. There is some legal precedent supporting the Tayes. According to the Supreme Court, “knowledge of harassment” and “failure to do something about it” are two elements that can expose a school to liability in bullying cases. However, the deliberate indifference standard set out by the Supreme Court is a very high bar for plaintiffs seeking liability against their children’s schools for bullying. It requires only that school administrators respond to known peer harassment in a manner that is “not clearly unreasonable in light of the known circumstances.” Thus, in order for liability to attach, the Tayes will have to show that Cincinnati Public Schools and school officials responded to their son’s bullying in a manner that was clearly unreasonable. One way that they could do this would be to show that the school district knew of the bullying, but took no action at all to stop it—a course of action that is arguably unreasonable. The manufacturer of an amusement park ride that broke apart and killed a man believes that corrosion is to blame for the deadly accident. Bystanders captured video on July 26 at the Ohio State Fair that shows the Fire Ball ride swinging back and forth like a pendulum and spinning in the air when it crashed into something and part of the ride flew off, throwing several passengers to the ground. On its website, Amusements of America states that, since its debut in 2002, the Fire Ball has “become one of the most popular thrill rides on the AOA midway.” The company describes the ride as an “aggressive thrill ride,” stating that it swings riders 40 feet into the air while spinning them at 13 revolutions per minute. Ride inspectors say they did not notice anything out of the ordinary when they conducted their inspections and cleared the Fire Ball ride for passengers. All of the rides at the fair are checked several times when they are being set up to ensure that they are set up the way the manufacturer intended. The state’s chief inspector of amusement ride safety, Michael Vartorella, said that the Fire Ball had been inspected three or four times before the fair opened. The incident prompted officials at the Ohio State Fair to temporarily shut down all rides for a short time so that they could be inspected, as well as officials at the California State Fair to shut down the Fire Ball ride there. The ride’s manufacturer, KMG, has recently offered an explanation as to why the ride broke apart, stating that corrosion within a support beam wore away the steel wall’s thickness over the years, causing a catastrophic failure of the swinging and spinning ride. Corrosion experts say that the company’s account points to water or wet debris being trapped within the hollow support arm of the ride, probably while it was being transported or stored during the carnival off-season. What’s not so clear is how the water got into the support beam in the first place. Exterior structures of rides such as the Fire Ball should ideally be designed in a way that moisture cannot be trapped. Ultrasonic testing is the best way to find out if corrosion is eating away at metal, but it can also be felt or spotted at the point when rust starts to build up. Amusements of America submitted paperwork to the Ohio State Fair showing that it had completed ultrasonic testing of the ride’s 24 gondola arm pins last year, but it is not clear whether the test examined the area where the carriage broke on July 26. As the heat of summer reaches full blast, it is imperative that parents and childcare providers take extra precautions to guard children from heatstroke and other heat-related injuries and death. During the hot summer months, the inside of a vehicle can reach 125 degrees within minutes, with 80% of the increase in temperature occurring during the first 10 minutes. Because children’s bodies overheat three to five times faster than adults’ bodies, leaving a child in a hot car even for a matter of minutes can be deadly. This was tragically illustrated last month when a five-year-old boy was found dead inside a daycare van in Arkansas. Police said that the boy was found dead, strapped in a booster seat, more than eight hours after being picked up by the daycare van as staff members prepared to load the van for children to go home. The heat index on the day the incident occurred was near 100 degrees. The Arkansas Department of Human Services stated that all child care service providers in the state must follow certain safety requirements, including installing child safety alarm devices in vehicles used to transport more than seven passengers. The alarm systems are to be installed in such a way that the driver is required to walk to the back of the vehicle to reach a switch that deactivates the alarm. The agency reported that a monitor inspected the daycare van in question in February and found that the alarm system was in working order. Further, the daycare facility in question had also been rated “highly compliant” with state safety rules and regulations.